Kirk Bell February 4, 2019 Comment Now! But August Achleitner, the soon-to-retire vice president of the 911 and 718 product lines, isn’t talking 918 when we discuss what could be in store for a 911 hybrid after our first drive of the 2020 Porsche 911 last month. Instead, racing comes up. 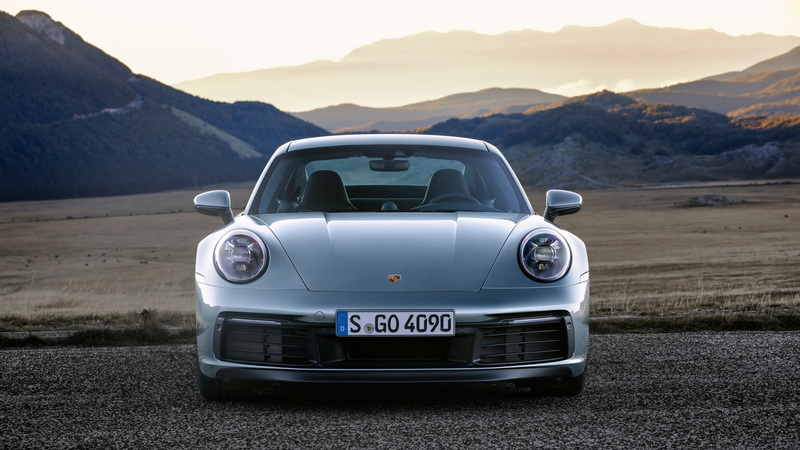 Achleitner, a fastidious, deliberate type who speaks English well but sometimes mixes in German words, says the 992-generation 911, which is due this summer as a 2020 model, makes a hybrid possible. The 991-generation car lacked the space for an electric motor and the car’s electrical architecture couldn’t have handled it—the control units couldn’t talk to a hybrid system. The 992 solves those issues, but there is still one big hurdle. “The battery is the main question for the car. It has to be solved, together with the need of power output out of the battery because this influences the whole performance of the car,” Achleitner says. Achleitner notes that Porsche doesn’t need to build a 911 hybrid for carbon dioxide requirements anywhere in the world. The issue is low- and zero-emissions zones. London has tested low-emissions zones and could go to zero-emissions zones by 2022. 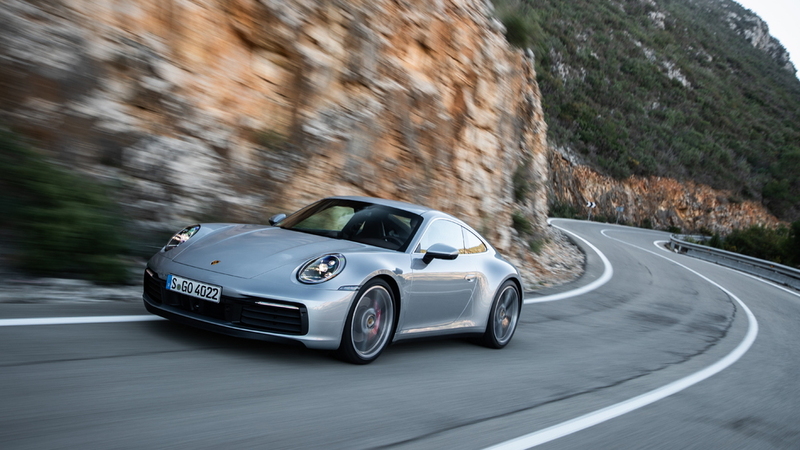 A 911 hybrid would let Porsche owners go where other sports car drivers could not. “We have to look (at) what happens, especially in China and Europe,” Achleitner says. “If we have to fulfill…say 25 miles of going electric, we have to consider it.” If not, he notes, the 911 hybrid could be more like the Acura NSX, which would make it easier to produce and lighter. However, Achleitner drops a clue that indicates the 911 hybrid will be a plug-in. He says that company simulations show a plug-in would add about 440-500 pounds to the overall weight, but simulations haven’t been done for a standard hybrid, which he estimates would add half as much weight. Porsche’s Panamera 4 E-Hybrid has a 14.1-kwh battery pack that gives the 4,784-pound car 16 miles of electric driving range. 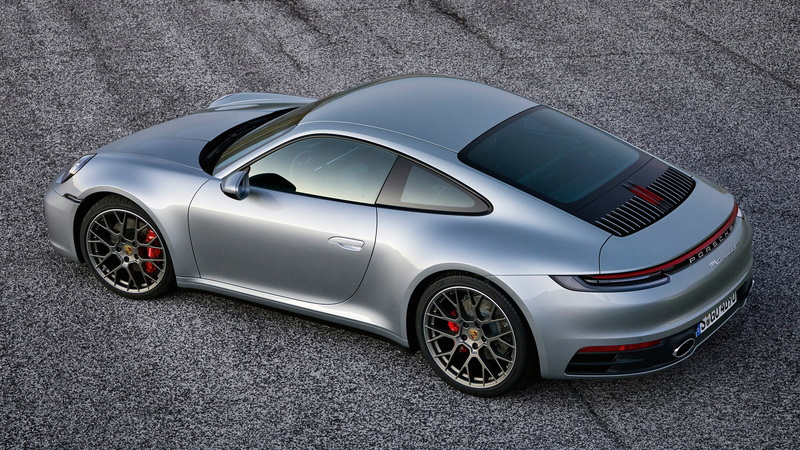 The 992 911 S coupe weighs 3,382 pounds. With another 440 pounds or so, it would still weigh about 1,000 pounds less than the Panamera hybrid, so 12 kwh might give Porsche 25 miles of electric range. Both Panamera hybrids come with a 3.6-kw onboard charger and a 7.2-kw charger is optional. With the larger onboard charger, the battery charges in 2.4 hours on a 240-volt outlet. We’d expect the same for a 911 hybrid or it may forego the smaller onboard charger altogether. Achleitner says Porsche has performed some development work on where to install the battery. It could be installed in a few locations. It could go under the floor, likely under both front seats, or it could take the place of the rear seat, Achleitner says. Other reports have said it could go up front where it would help improve the 911’s rear-biased weight balance. It won’t fit under the rear seat because that area has a crossmember that takes up the space a battery would use. Achleitner notes that a solution has to work with every body type and be accessible for dealer technicians. If the battery pack does go under the floor, it needs to be thin. “We do not want to lift the 911 up and make it higher than it is today,” Achleitner says. Battery location isn’t the only consideration. “You can influence the characteristic of a battery more for range or for power output. That means acceleration. And we have to find the right balance between both,” Achleitner says. This challenge is typical of all hybrid projects as engineers must choose between battery packaging and cell chemistries (and corresponding controls) that prioritize quick power demands, and ones that look to maximize energy storage and efficiency but may limit the power the motor can add. The more powerful Porsche makes the motor, the tougher that balance will be to attain. The 2020 Porsche 911 has the electrical architecture to support a hybrid system, a new electric brake booster that ensures brake pressure when the engine is off, and the space for a motor. That space is found in the transmission. It’s the same 8-speed dual-clutch automatic that first appeared in the 2018 Panamera 4 E-Hybrid, and it makes room within its housing for an electric motor by using a gearset that is almost 4 inches shorter than the one it replaces. An electric clutch actuator couples and decouples the engine and motor. In both the Panamera 4 E-Hybrid and Panamera Turbo S Hybrid, the motor produces 136 horsepower and 295 pound-feet of torque, but that doesn’t sound like enough for a 911 hybrid. “We have some pre-development work to make electric motors more powerful than they are today,” Achleitner says. “We use the knowledge from the LMP1, and want to transfer this into the series production, but this takes some time and is not available today,” he continues. Notably, the motor at the rear of the 918 made 156 horsepower, but that motor won’t fit within the transmission. How much more power is Porsche looking to add? Achleitner isn’t saying, but the Porsche 919 Hybrid was capable of putting a lot of power to the ground and the little experiment Porsche did with the 919 Evo world tour unlocked even more power. Porsche’s Panamera hybrid spec sheet shows that most of the electric motor’s horsepower gets added to the final output numbers. If Porsche were to develop a more potent motor than what’s in the Panamera hybrids and add it to the twin-turbo 3.0-liter flat-6 engine in the new Carrera S model, 600 horsepower could be within reach. That’s a number that fits with Achleitner’s desire for the 911 hybrid to be a car “the customer goes into the showroom and says, ‘Wow, that’s a car I want to have.’” He also notes the hybrid’s performance must more than overcome the extra weight it adds. If not, Achleitner muses, he’d just take a C4S, which would be less expensive. Achleitner says the hybrid could be rear- or all-wheel drive but he doesn’t mention another motor for the front axle, so an AWD version may simply use the 4S’s all-wheel-drive system. That is, after all, the way the Panamera hybrids work. They send their power through the PDK to a standard Porsche Traction Management AWD system. While efficiency clearly wouldn’t be the focus of the 911 hybrid, we estimate that the hybrid motor would improve fuel economy by 6 to 8 percent by simply aiding the engine. The big battery, motors, and other hybrid system components would add weight that would need to be considered in a crash. Achleitner notes that Porsche can change some structural elements, especially in the front beams of the body-in-white, to handle the extra weight and achieve good crash ratings. Visual changes are only speculation, but Porsche currently uses green badges for its electrified Panameras and calls them E-Hybrids. 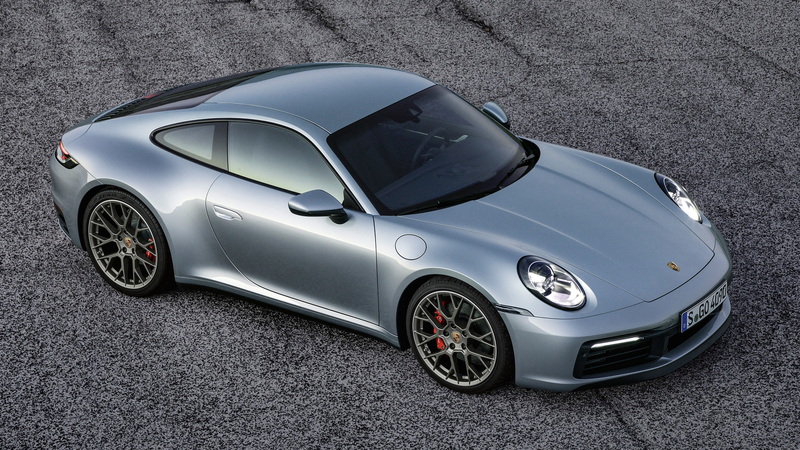 A plug-in 911 could follow suit, although Porsche may change its mind before it goes on sale. For now, Porsche won’t say when a 911 hybrid will arrive, but the 2020 model puts the pieces in place. Achleitner says the company isn’t aiming for 2021 or 2023, but then indicates it could appear, at the earliest, with the mid-cycle update of the 992, the so-called 992.2. Maybe the idea of a 911 hybrid isn’t so strange after all. 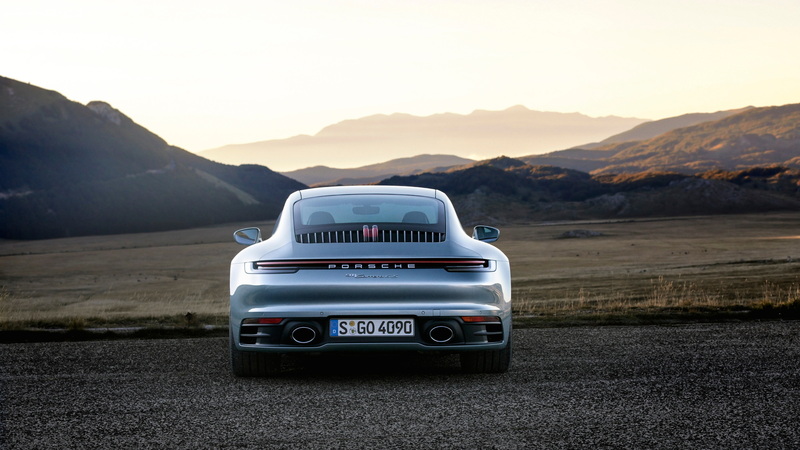 A 600-hp 911 that adds another 450 pounds, accelerates to 60 mph quicker than the new 4S’s 3.2-second sprint, gets 6-8 percent better fuel economy, and offers 25 miles of electric range sounds like a car that sticks to the 911’s mission while also adapting to a greener future. We can get on board with that.